Kelli Gallant is a successful video creator who left the Canadian television industry and her demanding video creation job at the largest Mortgage company in the country to pursue her own vision as a business owner. Determined to work for herself but not miss out on being a mother to her recently born daughter, Kelli decided that she needed to devise a more reliable system for earning monthly income as a video creator. Kelli searched high and low for a program that would teach her the tools she required to realize her dreams as a business owner and a video creator without forcing her to miss out on being with her growing family. Within weeks of joining the Next Level Creators program, Kelli is already adding thousands of dollars in recurring monthly income to her revenue by utilizing the powerful tools and lessons she has learned. Suddenly it seems her vision of earning more and spending more time with her family is becoming a reality. So if NLC has given Kelli the control she wanted over her life as a video creator, what’s stopping you from giving it a try? The freedom and earning potential you’re looking for starts here. It’s time to take control of your future! Paul: Right, hello next level creators. 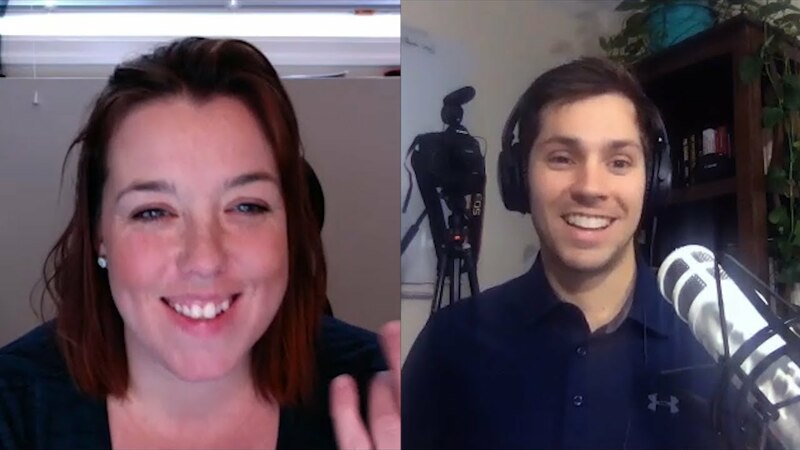 I Have Kelli Gallant from hitch flicks media on with me today and she’s going to share her experience getting into next level creators and turning one of her video production clients, which he’s had before. She joined the program into a recurring commercial campaign client and you know, how that works, how the dynamics of it works, sort of taking a client that you were doing video production for, turning them into a commercial campaign now after she had already been producing some videos and you know, I imagine some of this call will even be some, some talking about what to do next, which is an exciting thing. So Kelly, welcome and of course, thank you so much for taking the time today. Kelli: Hi. Thank you for having me. Paul: Yeah, so you’ve been running your video production business for how long now? About four years. And what made you. I love starting with this. What made you want to be a video creator and get into video production in the first place? Paul: that’s great. So love what you do. You’re very passionate about it. Of course I can see that from my. You’re talking and so for four years now, and what’s your business look like for those first four years? Can you walk us through or sort of like what kind of clients we’re working with, what kind of videos you were shooting? Kelli: Sure. So, uh, I was working for a TV show at the time and I had my first child on the way and we’re like, how’s this gonna work? This is, we wanted to launch the company because I knew I wasn’t gonna be able to go back. So, um, I have a friend who’s a life coach and wanted to do some videos and so she was my first client, um, and then I had another client doing another course online courses, so for the first year, so it was mostly just online course clients and that worked. I really liked that work, but um, they’re not the typical client that’s going to be able to take on a high budget off the top because they’re still building their business as well. And so I found out very early on that that wasn’t really gonna work for me. And um, then I started taking on a lot of, just naturally are in the mortgage world. I got into a large one of the largest mortgage brokerages in Canada and threw them at other financing companies and other businesses that they work with. Paul: Yeah. So it’s, it’s snowballed for you there. And so starting out in the coaching world, shooting some videos, jumping into mortgages, get we’re getting huge deal and that turned into many more deals for you, which is awesome. And that’s great because the way I say it is everybody says, Paul says you shouldn’t be relying on referrals. Something like, okay guys, you have to be careful here with the words we’re saying every great business gets referrals, went to rely on referrals only is a very dangerous game because then we’re not relying on something that’s predictable, something that’s a system in our business that we can invest this and get this output. So that’s great that you had the referrals come in, it shows that you have something of value to offer there, um, to the Canadian marketplace with your videos, which is terrific. And what were the challenges that you were facing at that time? Because for years you’ve, you’ve worked with these big mortgage companies, what were the biggest problems you were experiencing then? Kelli: okay and have seen the ads? I’m like, okay, what is this? Paul: And what was it that resonated with you that made you decide to really look into next level creators? Kelli: I don’t know if it says send this in one of the, the ads that I saw, but I was already kind of keeping my eyes open for a solution because I knew that. And this goes back to the challenges question. I knew that I needed to be able to offer my clients a way to measure and their, their investment, their Roi and to prove to them that this was worth it. And My, my thoughts were, okay, I really need to under stand what I’m doing with facebook ads because I was really tired of putting my videos, giving my videos to my clients and then not really seeing them do as well as I think they could have. And so that’s for years I had been kind of keeping my eyes open, looking for a solution, knowing very well that I could probably go out there and teach it to myself. Kelli: But knowing that I don’t have the time to do that. And um, I’ve seen some of your competitors out there and even went so far as to get into a course that had a 30 day guarantee and got in and got out very quickly because I’m like, this isn’t it. And so the connection to really next level creators being creator focused and not about a business, it’s not for a business person to build their business through facebook announced what about for a creator to have to build that business? That was the main thing. And I just knew that I needed to learn more about facebook ads. Paul: Yeah. So, okay. So learning the distribution aspect and getting clients results because you feel and you know, your creations are good, but they’re not good if they sit on a website and no one sees them. And I 100. I’ve struggled with that myself. Um, I remember I was infuriated once when I created a video for a client that sat on, it was a jewelry appraiser and I created a website for them and I charged like $5,000 for the whole thing, for both, let’s say in video. And they turned around and they hired a marketing company to run ads for $5,000 a month. Paul: I just, my jaw dropped, I hit the floor. I was so stunned I couldn’t believe what was happening and that was when I really decided to make a change and he was like, I can do this, I can figure this out too. So that’s great. And so so far a really, that was the main motivation, of course was to make sure you’re getting your clients giving a better impact. You went through our stuff, you looked at it, looked great. And of course you got on a strategy session with one of our team members. You decided to join. What’s your experience been like so far? Because you’ve only been with us for a couple of weeks. Really. I mean, it hasn’t been a long time. Kelli: Yeah, it’s great. There’s tons of information and it’s really valuable information. It’s um, like I said, I had been in other courses and I’m like, I know this, I know this, I know this already. In the other courses there was so much that was a wasn’t helpful. So there’s a ton of information, it’s really helpful and it feels like it’s, um, created just for me because there’s, I’m very specific pieces of information that I knew I was missing in my business. I’m the sales training in particular is, was mind blowing for me and um, I really, after I watched that module and there still others that I need to watch, um, I just, I knew I’m like, this is really going to change my business and that was exciting and like everything, every piece of information I have, um, learnt is valuable to me. There’s nothing that I was really like, yeah, okay. I know that. Paul: Do you remember what piece of the earn the deal fails model really are the moment you were going through that module where you had that Aha moment? Like, this is it, this is what I was missing. Kelli: Um, probably, uh, no, I don’t remember what it was. It’s the whole thing. The whole thing is genius, like, and um, makes so much sense. Not to me. Maybe because of the previous weeks of the training. Um, but uh, no, it’s just an, I see other people post on the group chat too, like everybody has the same reaction to it. Paul: Yeah, yeah. It took a long time to put that together and housing sales calls to go through. Um, but so so far you’ve gotten in, you started going through the program, you’re a couple of weeks in and as I say, like the smartest thing to do as a creator is not to go try to get random strangers and turn them into clients, but to go to people you’ve already worked with and look at their businesses and go back to them and say, hey listen, how are your videos working for you? Let’s make them work better. Like let’s start distributing these. And that’s what you did essentially with a client. You’re, you are currently in production with, correct? Paul: and you can and you will, of course, as we go through this process together and set up this first campaign for this client. And so, um, you’ve gotten, you converted them into a monthly management distribution client. And how much are you making per month from this first deal? Kelli: Um, right now a thousand dollars and I went in with a, something I wanted to make because I don’t have a proof of concept. Something I wanted to make fair, I shouldn’t say fair, something I just felt okay with. And then, um, but with the assumption, with the agreement that in three months we’re going to revisit this and look at the results. And that could potentially change. Paul: Of course. Yeah. And it will. That’s exactly what I recommend doing. And people, for anyone who doesn’t know what a proof of concept is, it’s essentially when you have proof that commercial campaigns work and you’ve made them work yourself. So that’s when you proven our commercial campaign works. Um, and lots of our clients do that. They’ll go in, they’ll give a discount, they’ll give what we call an early adopter scholarship or whatever you want to fast action incentive saying, hey, listen, I don’t have the results yet, but I’m in this program which shows me exactly how to set up commercial campaigns that sell and distribute them and $1 into five, $10 return on investment for businesses and I want to use you as my Guinea pig. I’m going to give you a huge discount to do that and that’s essentially kind of what you did and that turned into your first $1,000 a month client that’s already right there. Paul: $3,000 for the first three months. You’re going to revisit it. You’re going to get them results because that’s the type of person you are. You’re in the program with us and then we’re going to revisit that negotiation and say, well, now that we’re getting you, you know, 10, 15, whatever the number may be in terms of Roi, let’s wrap this up. You’re going to earn more and they’re going to earn more. And that’s that win win relationship aspect to these types of types of contracts and these types of client relationships and yeah, it’s a, it’s a beautiful thing getting to work with less people, but uh, but provide a bigger impact for them. Kelli: I actually think that potentially this, if I can make this work for this client, um, I may be able to have enough income, an income that was similar to what I was doing previously hustling and trying to find all these other clients and my other, my previous business. I think I could do this with this one client because of what they, um, because of their business. Paul: Yeah, yeah, yeah. And that’s the thing, like you can go from essentially running around, try using hope marketing, relying on referrals, just wondering where that next deal is coming from. Really Hustling your tail off in the video job to job market to getting one client, getting them results, and then replacing your entire income. Spending only a couple hours a week doing it. And when I, when people will see that happen, it is, it’s a culture shock in a sense to think that that’s possible. And then from there, of course we get into all the other things of scale. Um, it happened after that. But like we say, don’t overthink it one step at a time. So with where you’re at now, you got your first client and we’re in the stages of a precinct commercial campaign, setting it up, um, have you been through some of that training yet? I don’t know where you’re at with the facebook training and things. Have you been through some of that yet? And how is the process going so far? Paul: sorry, what was the question? Yeah. So that was basically it was like, how is the facebook training, how are you going through this process? Has it been. And like you said, you know, you think you’re going to need another week and that’s good. Honestly, I would much rather slow things down and do them properly any day that week than try to rush through something and make costly mistakes, which is what most people do, right? They just go to youtube trying to, thinking they can figure stuff out and then follow some random thing. But you never know what you don’t know and when you’re trying to do that, you’re just gonna spend hours, weeks, days searching for things not knowing what’s real. And that’s kind of the shortcut you’re, you’re getting is you’re seeing. Yes it is work. But the good news is once we set it up properly, we can be really successful with this and it doesn’t take much work to maintain. That’s the beauty of it. So great. Uh, and of course, after this call who you guys won’t be on with us, but we’re going to jump into the campaign and talk a little bit about it and how to set it up. But for everyone who’s listening here, I’m kind of curious, where do you see yourself going now that you’re in next level creators? You have this first client, we’re going to get them a proof of concept a year from now. Where do you see yourself at with your business and how are things changing? Kelli: almost a double. Probably what I made was my previous when I was just doing my own production company. Paul: Yeah, sure. Okay. Yeah. And if we can’t get you there much faster, um, which I think we can talk about that after this, but that’s good. Yeah. Six figures in 12 months. That’s a big deal. And to be able to do it with just a few clients that are creating predictable revenue, I mean, I’m sure that’s going to give you and you, uh, as you said, it’s going to give you that security kind of, that ability to feel comfortable and not stress out so much about where that next deal is coming from and having to hustle constantly. Kelli: Totally. And the longterm vision too is I would like to have a larger company with team members underneath, underneath me working on the same programs essentially for other niches and regions. Paul: Sure, yeah. That’s great. And so dominating Canada all over. That’s great. Awesome. So, uh, Kelly and then the next, um, next question I always like to ask you, you’re kind of like to end these interviews is just if you were to talk to yourself before you joined next level creators, you know, I don’t know, I didn’t ask, but were you skeptical of the whole thing of us and like what, what you saw online, did it, did it resonate really well with you or were you skeptical? And like what were you thinking and what would you say to yourself now having joined in, in the community, surrounded yourself with everyone who’s gone through the program, to the parts that you’ve been through so far? How would you, what would you tell yourself before you joined? Kelli: So forth, I guess, and um, it’s, it’s definitely worth it. The community, as he said to his, um, there’s something I, like I said, I’ve been in a few of these other, other competitors’ programs and the community is unique. Everybody is very intelligent, creative, very willing to help and I’m very motivated and it just really motivates me to work harder as well. So the community is a huge aspect for sure. Um, I guess just having the faith in myself to know that I can work hard and um, the belief that this is the right program for me, it was really just made me, made me make that leap and I do want to say I was skeptical and I found, I looked really hard to find like who’s gonna tell me about this program online and what are they going to say about it. And I found some, some other skeptics out there as well, but the reasoning was really, um, it just didn’t have a lot of weight in it with me. It just sounded like people who were, I’m too scared to take the leap and um, work hard to make a change in their life. Paul: I’ve been there, you know, I’ve been there where you’re, you’re looking at something, you’re like, ah, that can’t be real. Or a, this person said this can’t be like, if I. all I have to do is work hard. Right. What does that really mean? But the end of the day, that is the truth. I mean, if you have the right plan and you know what to focus on, right? We talk about income producing activities. If you know what those are, if you know how to do them, it’s just a process of iterating them. You use them, iterate. Did it work? No. Fix it. Didn’t work. No. Come to the community. Get my feedback. I’m going to help you put your message together. Let’s do it again. Did this campaign work? No. Let’s change the ad to this. All right. Now it’s working. It’s, it’s a constant evolution and if you’re not willing to work through those different things that this won’t work for you and I 100 percent agree and I’m happy that you joined because I believe, I mean I commit everything I have to our community and to our clients just like you. And I appreciate having you guys here and so thank you very much for sharing your experience so far. I’m looking forward to doing an interview again and a year and talking about how, how it went from you getting to from where you are now to six figures. I hope that’s the case. Thanks Kelly, and we’ll end it there and let me go ahead and.